John Gauntt was born and raised in Athens, Texas and then attended East Texas State College. Gauntt was a schoolteacher for four years and then became a lawyer. He worked as a law partner with a variety of other prominent Wacoans, most notably Pat Neff. In 1927, his car was stolen and found by police only after its tires were removed. Gaunt never noticed it was missing. By 1928, he was county judge. In 1948, he was serving as Justice of the Peace. As a Mason, he was very active at Waco 92, the local York Rite bodies, and the Karem Shrine. 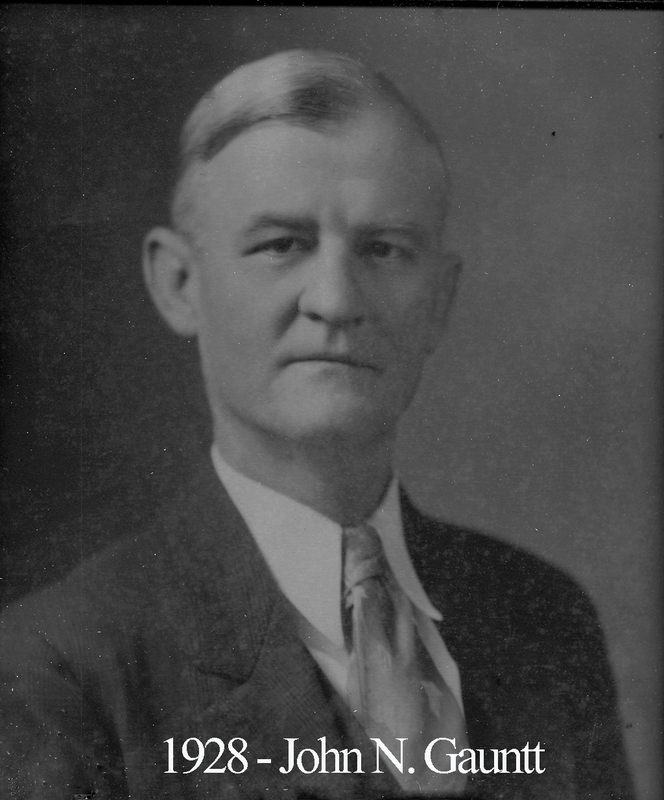 Gauntt was the Grand Treasurer for Texas Masons in 1928.